Under-Settling Coal Miners’ Claims – Has my coal miner compensation claim been under-settled? In a recent Court case – Proctor v Raley Solicitors – the Claimant successfully sued his solicitors for under-settling his claim. 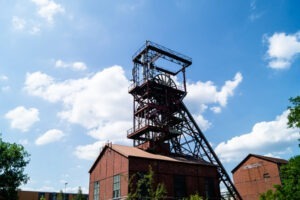 Under-settling coal miners’ claims is professional negligence and here at DSM Legal Solicitors we can advise and help you to bring a professional negligence claim. Mr Proctor suffered from Vibration White Finger and his solicitors, when claiming from the Coal Health Compensation Scheme, overlooked the fact that Mr Proctor was entitled to make a future services claim i.e. he was entitled to claim for DIY and gardening fees, tasks he was no longer able to do as a result of Vibration White Finger. If you think that your claim may have been under-settled contact us and we will assess your claim free of charge. Click here to complete our Professional Negligence Claim Enquiry Form or telephone 01925 937070 to speak to a solicitor. If we think you have a good claim then will take your case on a ‘no win, no fee’ basis. If we do not think that you have a good claim then we will advise you accordingly. In any event there is no charge to you so why not give us a call and speak to one of our solicitors in the strictest of confidence and without obligation. Your claim can be dealt with over the telephone or by email, or you are welcome to come and visit us at our office where there is free, on-site parking (by appointment only). We are local solicitors in Warrington, with our office located minutes away from Junction 8 of the M62. We have clients across England and Wales. We can assist with professional negligence claims, wills and probate, oaths, affidavits and statutory declarations, lasting powers of attorney, employment law claims, settlement agreements, personal injury (accident claims including fatality claims), serious injury claims, road traffic accident claims (car accidents), medical negligence claims and criminal injury compensation claims. Click here to complete our Claim Enquiry Form.